“Don't tell me we can't clean this up together." Imagine a garbage truck stuffed to the brim with plastic. Now imagine that truck driving to an ocean coastline and emptying its entire load into the water. Imagine that happened every minute of every single day. That’s essentially what’s happening throughout the world. Each year, 8 million to 13 million tons of plastic make it into the world’s oceans. And now a 22-year old college dropout wants to clean it all up. 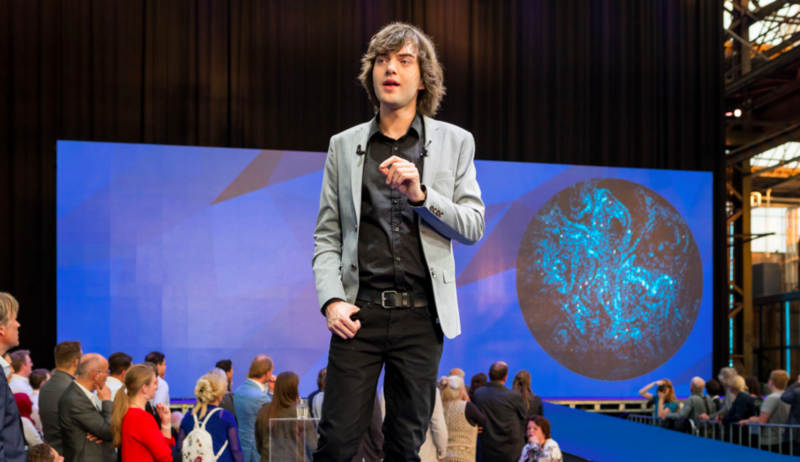 “I believe the Great Pacific Garbage Patch can completely clean itself in just five years,” then 18-year old Boyan Slat declared in a shaky 2012 Ted Talk that catapulted him to international fame. Since then, Slat, who is now 22, dropped out of college and raised $31.5 million for his ambitious The Ocean Cleanup project, a mission that has been both admired and scoffed at by scientists and environmental activists. “Boyan Slat is inspiring people, organizations and governments to find solutions to the escalating threat of plastic debris in our oceans,” Achim Steiner, the former Under-Secretary General of the UN, said at the time. Detractors include prominent oceanographers who say Slat’s project isn’t based in good science. “Focusing clean-up at those gyres, in the opinion of most of the scientific community, is a waste of effort,” marine biologist Jan van Franeker of Wageningen Marine Research in the Netherlands told Science Mag. To most scientists, including Franeker, the focus should be on preventing plastic from entering the oceans in the first place and cleaning up debris closer to shore. What’s undeniable, as the UN points out, is the influence of Slat’s message. Through his pipedream project, he’s brought much-needed attention to the problem of plastic pollution in the world’s oceans. And, in the end, his grand plan might just work. Slat first became aware of plastic pollution at 16 when he was diving in Greece and saw more plastic bags than fish. He then dedicated a school science project to figuring out how to tackle the problem. While testing out contraptions in the water, he realized that plastic could be collected in a cost-effective manner by using the ocean’s currents. A few years later, he conceived a prototype — a solar-powered floating structure with 100 kilometer v-shaped arms shackled to the seafloor. The arms corral plastic to a central location where boats can periodically clear the waste. He also realized that gyres, areas where currents collide and form circular movements of water, would be the perfect place to situate the structure. In particular, he focused on a mammoth accumulation of plastic known as the Great Pacific Garbage Patch. 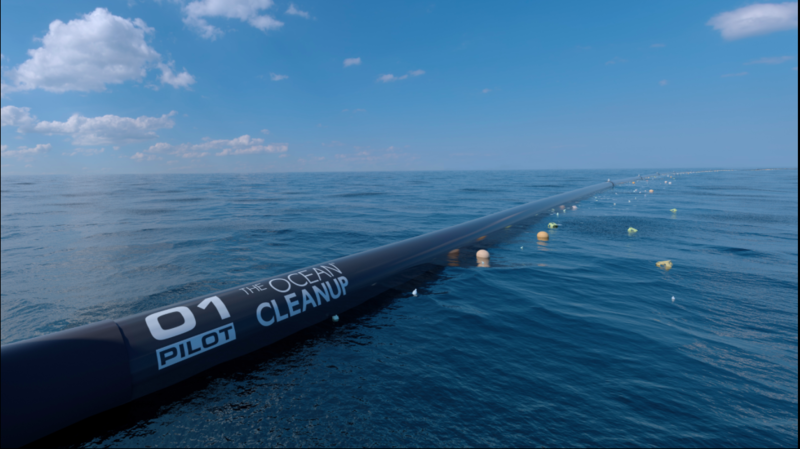 Theoretically, the structure would be able to indefinitely collect plastic in this fashion, ultimately clearing plastic accumulations like the Great Pacific Garbage Patch. It could also become profitable by selling the waste to recyclers and selling branded material. Once a business plan was sketched, Slat started The Ocean Cleanup, an organization dedicated to cleaning up the Great Pacific Garbage Patch. Last year, his team deployed their first pilot, a 100 meter structure in the North Sea in 2016. After two months, it began to fall apart. The team of engineers set about creating a new, more resilient design, shrinking the structure’s arms from 100 km to 1 km and changing the base so that it will sit only a few hundred meters from the surface of the water where it will be less vulnerable to violent weather. The smaller design allows the team to hit the market in 2018, rather than the projected goal of 2020. They hope to launch 50 structures that cost a few million dollars each. Within five years, they aim to clean half of the patch. Critics argue that the structures cause harm to marine life, especially plankton that get trapped in the arms. Further, they claim the plan will never be able to tackle the plastic problem because most plastic isn’t situated in gyres and plastic sinks to the ocean floor, out of reach of the structures. And most damningly, it doesn’t get to the root of the problem — producing and throwing away plastic in the first place. But Slat isn’t deterred by these doubts. He somehow launched a global effort to clean the oceans by the age of 20 without any special expertise in oceanography and he doesn’t plan to give up now. More than 5 trillion pieces of plastic debris are floating in the oceans. For Slat, The Ocean Cleanup is just one part of the puzzle — cleaning the oceans will take an immense global collaboration. "Please,” he told the Pacific Standard. “Don't tell me we can't clean this up together."